In a new column, 'North African Dispatches', Kateb Salim casts a light on the case of Western Sahara, Africa's last, forgotten colony. He traces the history of the region from Spanish colonialism to Moroccan occupation, and charts the tremendous obstacles in the path to freedom that the Saharawi people have faced over the past decades. Unless a just peace is found soon, Salim argues, the repercussions are bound to be disastrous for the region. Ask any person on the street whether or not they know the Western Sahara and odds are you might get a look of confusion, if not outright indifference. Oblivion it seems is the current reality for the arid North African territory of Western Sahara; often referred to as Africa’s ‘Last Colony’. In my opinion, it would be more accurate to describe it as ‘Africa’s Forgotten Colony’. This conflict, unlike others in the MENA (Middle East and North Africa) region suffers, as I mentioned, from the almost total indifference of the international community. This indifference explains, in many ways, the extent to which the Saharawi people’s rights to self-determination have been sidelined from the international organizations’ agendas, priorities and debates over the past four decades. More recently, the consistent and deafening silence with which European states have responded to excessive Moroccan repression and military occupation, threatens to re-ignite the guerilla warfare that had plagued the Maghreb in the past and destabilize a region in urgent need of tranquillity to move forward. 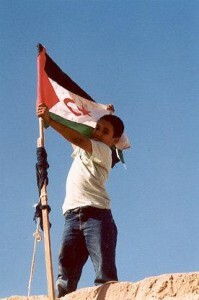 Unlike the Palestinian issue, the Western Sahara is unknown to wider international audiences. Following the colonial rush for Africa in the late 1800s, Western Sahara, then referred to by its new colonisers as the ‘Rio de Oro’, became a Spanish colonial territory. By the 1960s and 1970s, the decolonization process taking place throughout the continent saw the Polisario Front, the Saharawi liberation movement, articulate the territory’s right to self-determination. Whilst the Spanish occupiers initially rejected the Polisario’s call for independence, they later relented and, indeed, agreed to hold a referendum. However, this did little to discourage neighbouring Morocco’s territorial ambitions of ‘absorbing’ the Western Sahara. Indeed, anticipating Spanish withdrawal, Morocco and Mauritania each argued that the Western Sahara had always been attached to their respective pre-colonial kingdoms. These claims have nevertheless been rebuked by a 1975 International Court of Justice’s opinion that decreed that, despite cultural or historical ties to both nations, the people of the territory were nonetheless entitled to self determination in accordance with resolution 1541 and the principles enshrined in the UN charter. Irrespective of this opinion, then Moroccan King Hassan II moved to secure the land through a “Green March” whereby hundreds of thousands of Moroccans marched on the territory thereby “claiming” it. The Mauritanian state promptly followed suit and also occupied the territory, with equal disregard for international law. Perhaps it is important to note here that it is at this very point in the conflict’s history that one begins to observe how the international community, rather than solve a relatively simple problem at its inception, chose to evade its responsibilities. Madrid, embroiled in its own domestic unrest, saw it best to completely withdraw from the territory, leaving the two neighbouring states to engage in an unbalanced and costly war against the Polisario Guerillas. Though the war with Morocco continued well into 1991, by 1979, however, the Polisario’s effective tactics had managed to push the Mauritanians to withdraw their claims. The best example of international pressure thus far, has come from the most unexpected of places. The 12th of November 1984 saw the recognition of the Polisario and the Western Saharawi Republic by-wait for it- the Organization of African Unity (Later to become the ‘African Union’). The organization expressed its solidarity with the desert nation and justified its decision by drawing on parallels with Africa’s own still recent liberation struggles. Morocco, logically enough, promptly withdrew from the organization in protest. In 1991, signs of international involvement started to emerge, but only following a fifteen year period of avoidable war which had by then cost the lives of far too many on all sides. A UN-brokered ceasefire that year saw both sides agree to put an end to armed conflict and engage in full dialogue, with the aim of achieving a peaceful solution. The latter would never truly take place, however, with Morocco blocking all avenues for progress ever since. For instance, MINURSO, the UN mission tasked with maintaining peace and overseeing the organization of a free and fair referendum has, to this day, never been allowed to carry out its mission. Why is this case? To put it plainly, Morocco, benefiting from a manifest disengagement of the international community simply continues to sabotage these efforts. It has done so using two primary methods: First, by framing the conflict falsely. Moroccan authorities have demonized Algeria for welcoming Saharawi refugees and the Polisario Front in its south-western town of Tindouf, accusing their neighbour of orchestrating and even ‘imprisoning’ (to use the Moroccan media’s vocabulary) those refugees against their will. 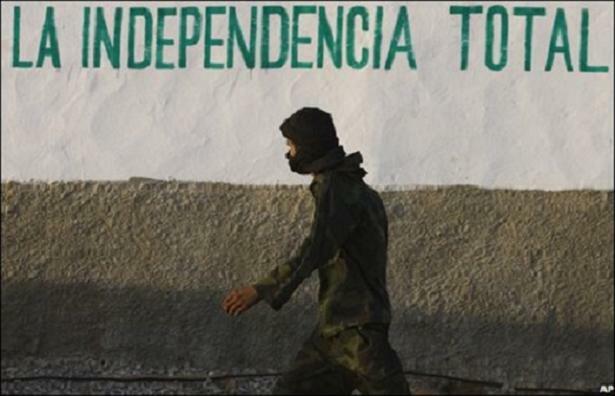 In so doing, Morocco has done its best to turn an issue of self-determination, i.e. of a multi-lateral nature, into a bi-lateral one between Algeria and itself. Second, the Kingdom has repeatedly rejected all UN peace-envoys’ proposals involving the detachment of W. Sahara from its tutelage. Unfortunately no pressure came from the UN to see the proposals carried through. This blind eye has in fact served Moroccan interests by stalling all serious efforts to hold a referendum. In the meanwhile, Rabat has not hesitated to implement policies of population transfer (Moroccans are encouraged to migrate south in exchange for financial rewards). The purpose is clear – to alter eventual electoral lists thus affecting the outcomes of any future referendum. Consequently, the demographic map of the territory has been gravely altered since the conflict’s beginnings and a just solution to the problem seems ever distant as it grows in complexity. The important fact to take from all of this is that European states have done nothing to dissuade the kingdom from practices that obstruct dialogue. If anything, states such as France have encouraged or protected said practices by using its Security Council seat to convince its peers to keep this important issue to the confines of the General Assembly’s somewhat empty-shelled committees. Additionally, Morocco’s latest crackdown on many human rights/independence activists within the occupied territories has made negotiation a difficult task for the Polisario Front. The liberation movement finds itself fighting on external as well as internal fronts, the latter due to its growing inability to convince its restless population that a peaceful settlement is possible. Whilst the European Union adamantly pressures Cuba to release its prisoners of conscience, where are the equivalent condemnations when it comes to the hundreds of Saharawi political prisoners left to suffer in Moroccan jails for their opinion? Are the latter not worthy of similar efforts or attention? As recently as this week-end, a violent siege of the camps outside the city of Laiun resulted in the death of a teenager whilst three other Saharawis, gravely injured by police gunfire, find themselves in a critical condition. If you’re thinking “Surely this is bound to horrify a few officials and heads of state in Europe?”, think again. This issue presents us with a recurring phenomenon in international politics: the sad reality is that Morocco’s privileged position in the eyes of the European Union, both as a sought-after tourist location and an ally in various international forums, have made it immune to criticism despite repeated calls for action by respected international human rights NGOs. Indeed, the recent case of Aminatu Haidar, an internationally recognized human rights activist, forcefully expelled and prevented from returning to the occupied territories, is a compelling example of how international pressure can make Morocco change its ways. 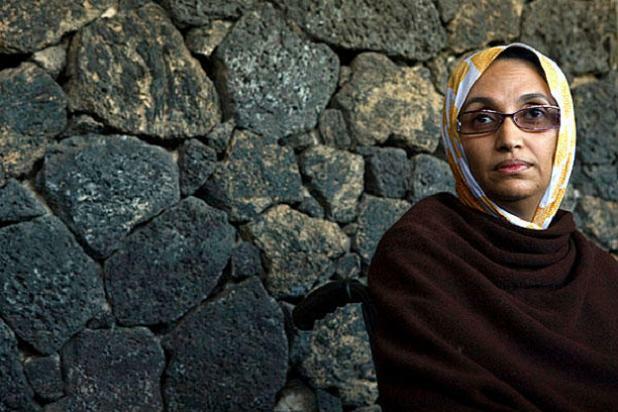 Using a month-long hunger strike at Lanzarote Airport, to protest her ill-treatment, Haidar attracted the attention of the international media and eventually won her battle against the Moroccan Kingdom. Evidently, King Mohamed VI, pressured by his European counterparts including President Sarkozy, was made to understand the possibly devastating consequences of letting the ‘African Ghandi’ die. I naively ask myself: can we be selective in our defence of human rights? Are we continually going to need punctually-recurring crises to show solidarity for a just cause? More than anything, this conflict suffers from a lack of attention, a lack of exposure to a wider public. Without pressure from civil society within European states on governments, or a fair degree of attention from the media, nothing can truly be done within the UN’s paralyzed bureaucracy to affect realities on the ground. Now more than ever, negotiations remain at a standstill. Do we really want another Gaza in North-Africa? Desperation if left to fester amongst the Saharawi youth, will surely result in another avoidable upsurge in violence. In light of the facts I mentioned above, should exasperation grow within the ranks of the Polisario, the current inclination towards a negotiated solution might be replaced by a Saharawi Intifada. I think it’s fair to say that this would undoubtedly have disastrous consequences for the entire region. Kateb Salim writes weekly on African and Maghreb affairs for Ceasefire. His interests include politics, current affairs and Real Madrid FC. His column appears every Wednesday. « Previous: Modern Times: Is anybody (partly) there? an eye opening and insightful piece! I so agree, this is a very well written article with brilliant details! great fact content. Its nice to finally see someone expose a seldom mentioned topic of crucial importance to the stability of the region. Majority of people know of the conflict between order neighbouring countries like India and Pakistan, Palestine and Israel etc. Mainly because it is so publicised in the media. We cannot forget that they are not the only ones. Thank you for bringing this to light.